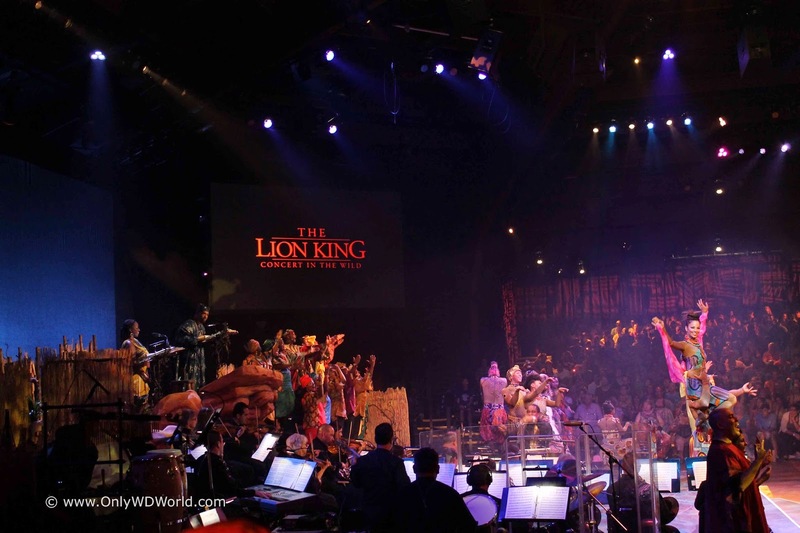 Disney World is having a special event this summer to celebrate the 20th anniversary of Lion King, the movie in a way that only they could. 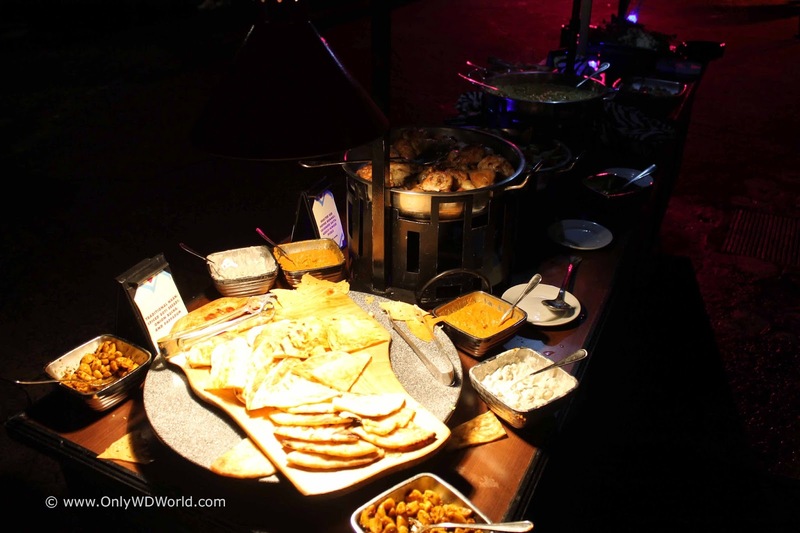 At Disney's Animal Kingdom, home to the Festival of the Lion King show since opening in 1998, Disney put together a celebration fitting this great movie and provides a stellar night for guest who care to indulge. 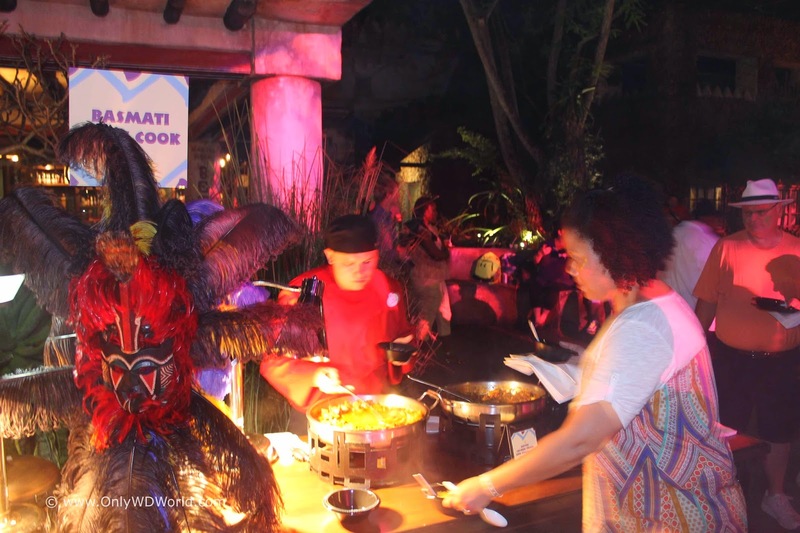 Billed as a once per week event running for 10 Saturdays during the summer from June 7th through August 9th Harambe Nights gives Disney's Animal Kingdom a chance to show off like it never has before. 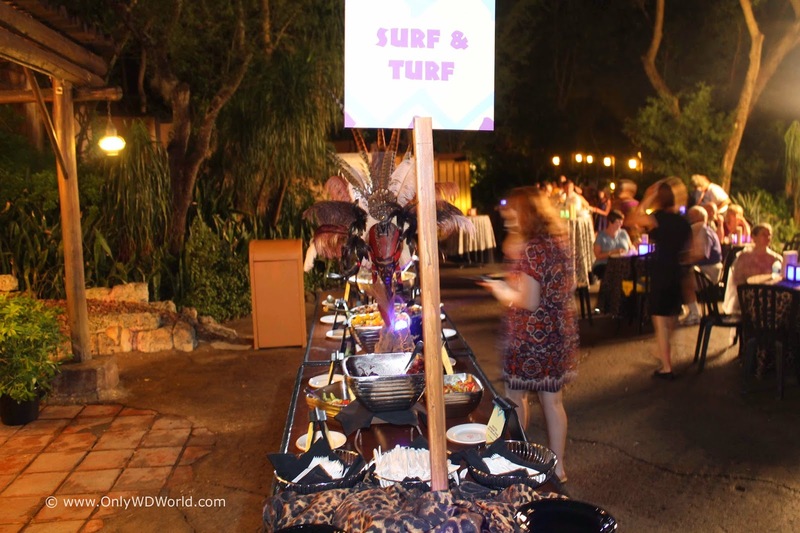 For an event that starts at 7:00pm as the regular day for the theme park is winding down, you know you are in for something special as you are greeted by special signage and Disney Cast members that have their faces painted in festive fashion and sporting animal ears. 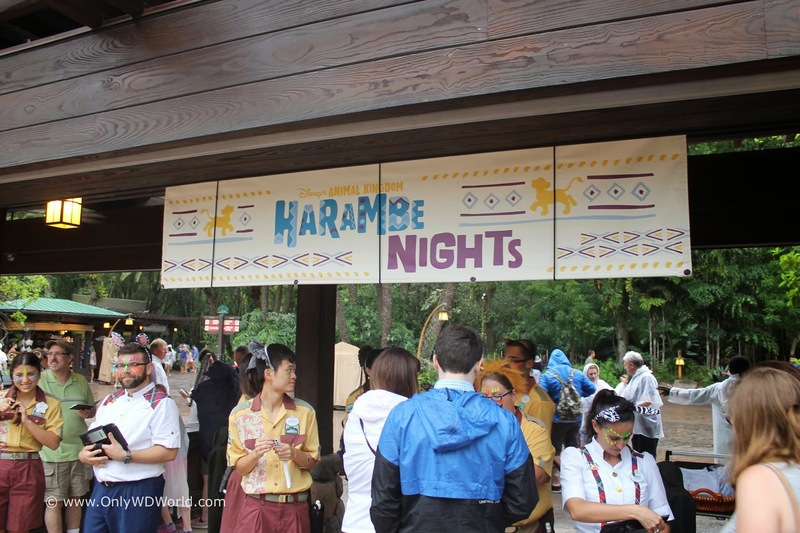 Once you are checked in at the main gate and receive your wristband it is time to make your way to the Harambe Village in the Africa section of Disney's Animal Kingdom. The event consists of 3 phases. 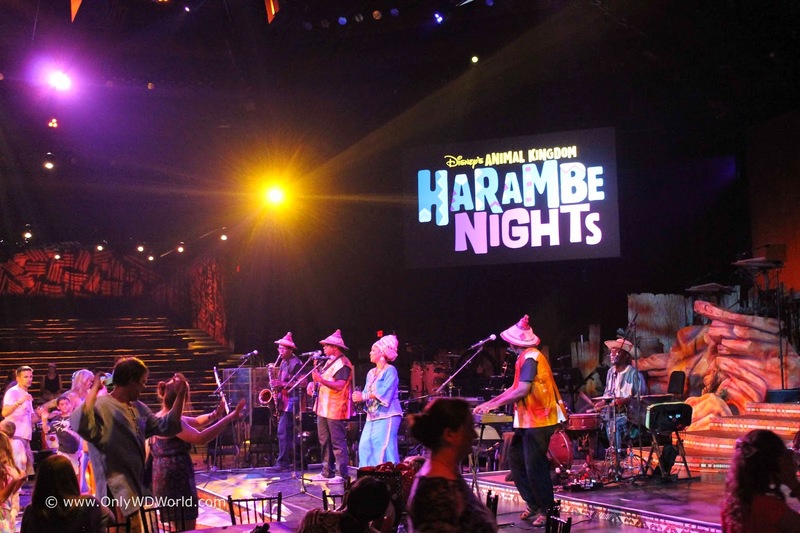 The initial phase is a get acquainted with the surrounds and enjoy drinks and appetizers, the 2nd phase is a special performance in the new Harambe Theater as a tribute to the Lion King movie complete with orchestra and celebrity narrator, and finally there is a dinner and street party to enjoy for the rest of the evening. In attending the July 5th event, we encountered rain as the event started at 7:00pm. Although it did not dampen anyone's spirits, it did move some of the initial part of the event indoors. 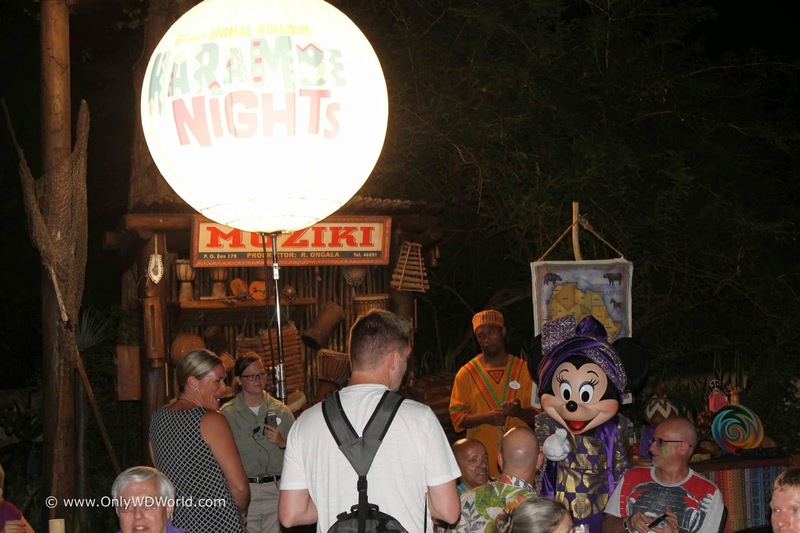 The Welcome Reception was split between the Pizzafari building and the Tusker House. Our one regret is realizing that many of the people showed up well before 7:00pm and by showing up close to the starting time we missed out somewhat and felt slightly rushed. There was free face painting available to all who wished to partake (and who wouldn't! 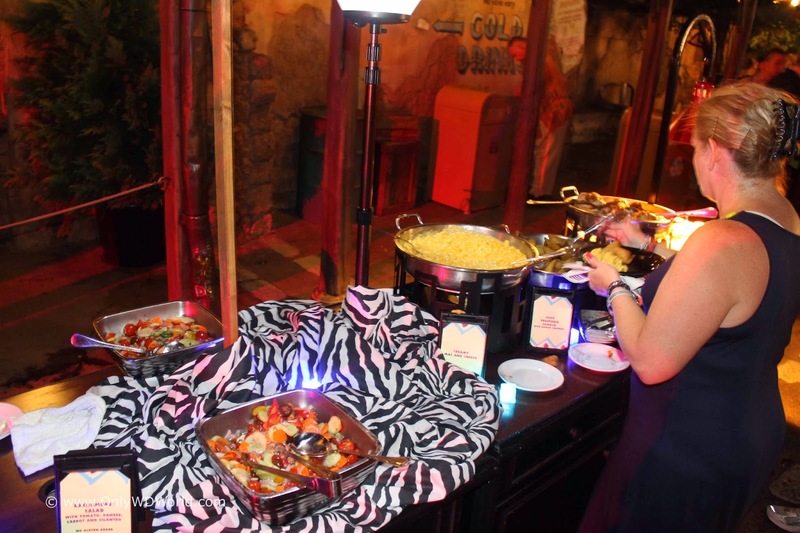 ), as well as, numerous bartender stations and several stations with the three appetizers available to try. 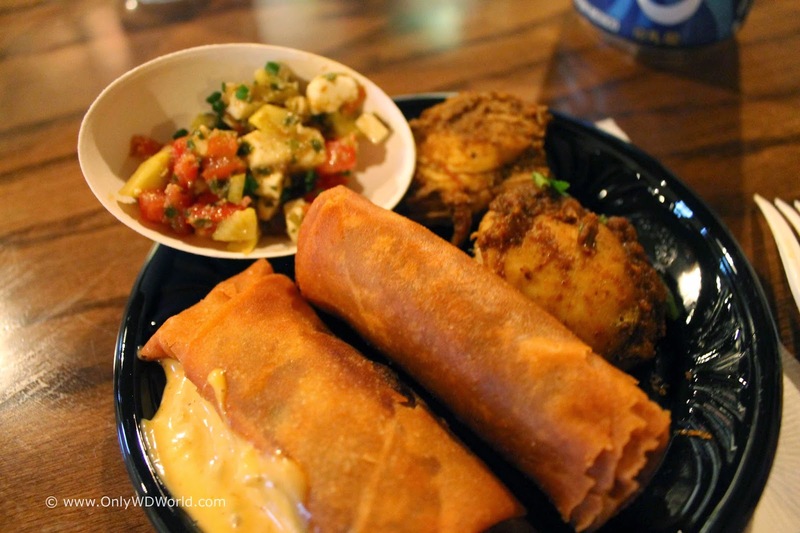 The Cheeseburger Roll was definitely the biggest hit and most stations ran out quickly. We also really liked the Pickled Fennel Paneer Cheese. The Spicy Durban Chicken was really dry at some of the stations and was not as good as we have had this before and enjoyed it. Seats were at a premium, especially because this initial phase was moved indoors. 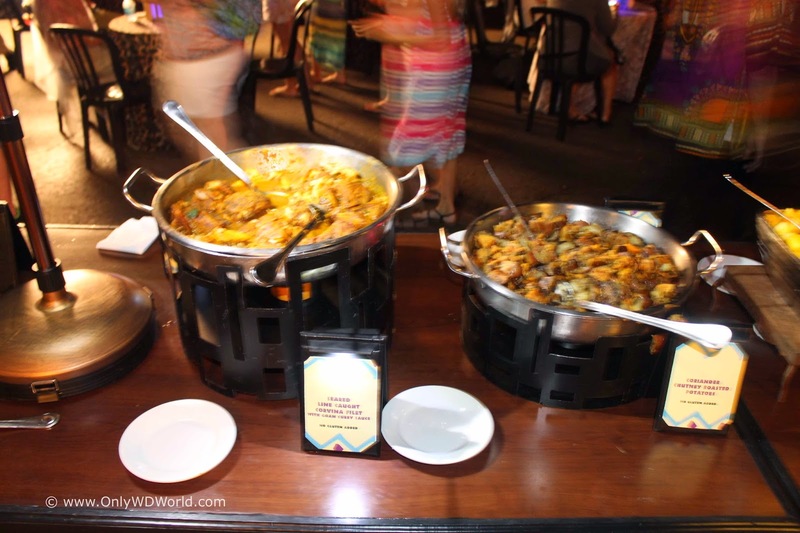 We were still able to obtain table to enjoy our food and drinks. The specialty drink of the night was called Jungle Juice, that you could have with or without generous amounts of rum added. The staff was very friendly and right from the start you could tell this was going to be a fun evening. When you initially checked in you were given a wristband that had an animal type noted. 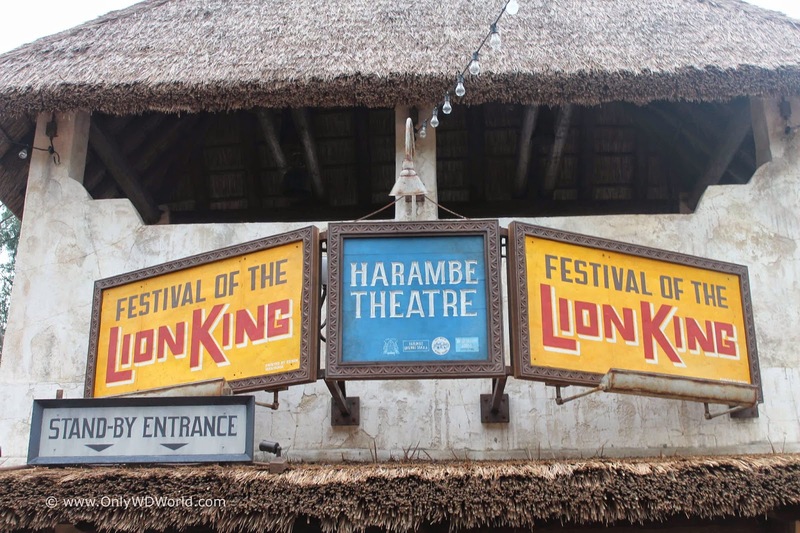 As the staff made their way through the buildings letting you know it was time to proceed to the theater for the show, you were informed to go to the area marked by your animal. 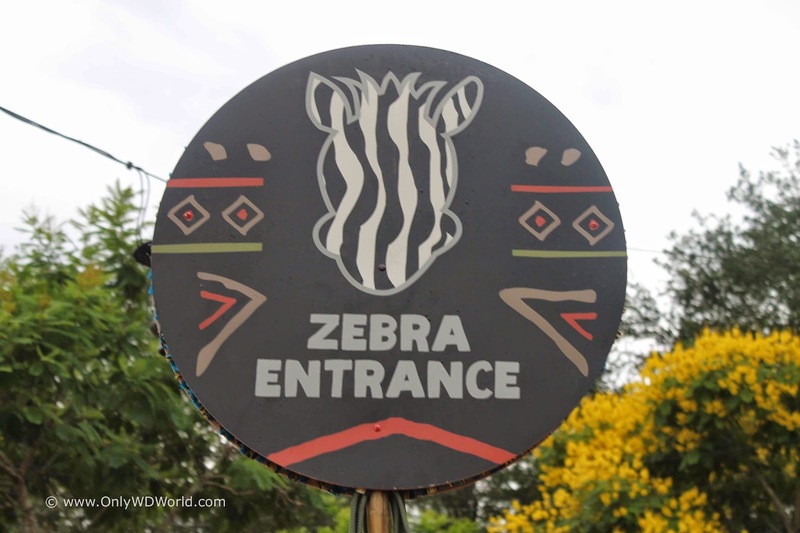 We had the Zebra group and quickly found our area outside of the beautiful new Harambe Theater. 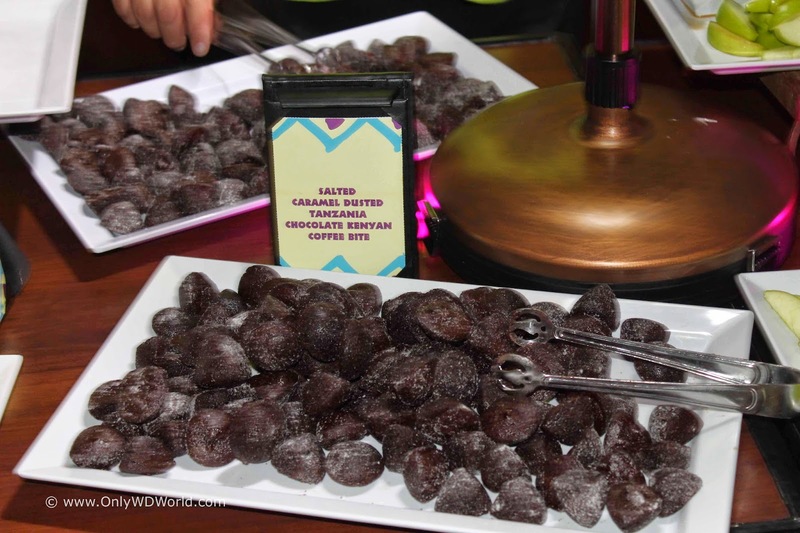 As we proceeded through the line to get to our section to our seats, each member of our party received a special container of Lion Chow which contains: Sea Salted Pretzel Chips, Benne Crumbels, Cardamon Candied Pecans, Golden Raisins, and Dried Cherries. 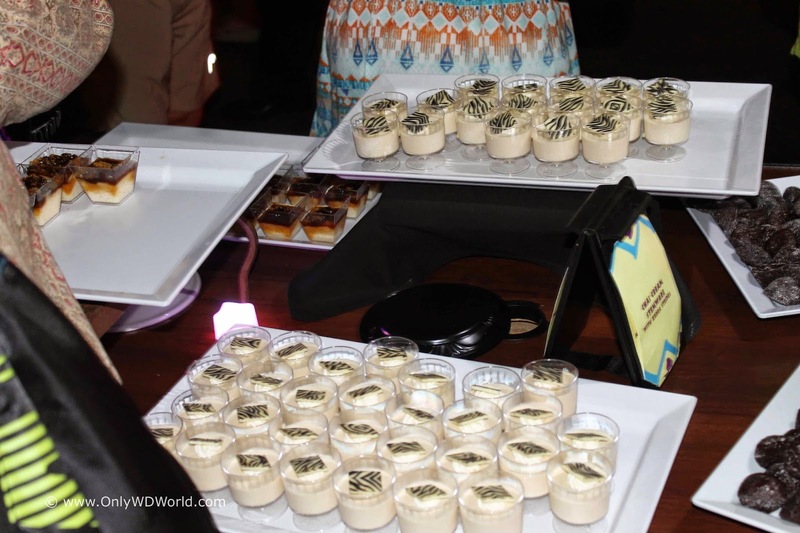 They also had a bar station at the entrance so that everyone could get a drink of their choosing to take into the theater with them to enjoy during the show. 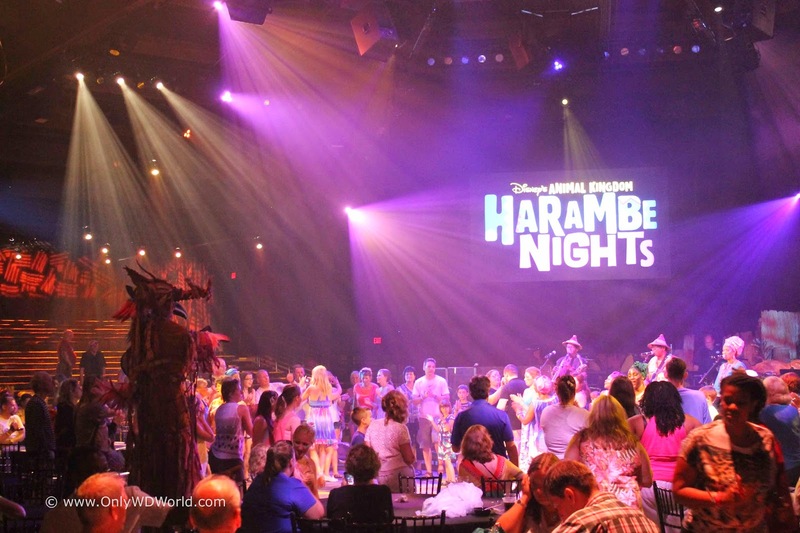 At 7:30pm the Harambe Theater filled up with all of the people that came to partake in this event. It wasn't until this moment in the packed theater that you really understood how big this event actually was. The night we attended was sold out and the theater certainly looked filled. We were in the Zebra section. 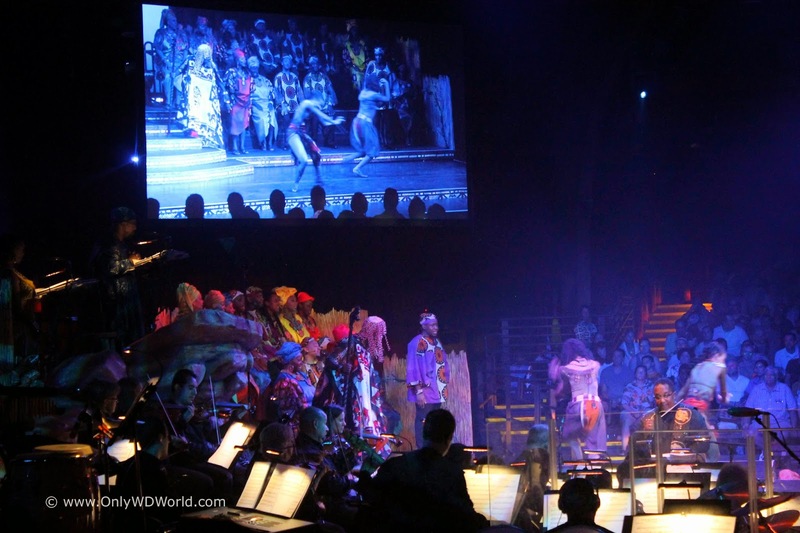 Although the Orchestra was between our seats and the singers and dancers, the theater is still small enough that we had a great view of the action. 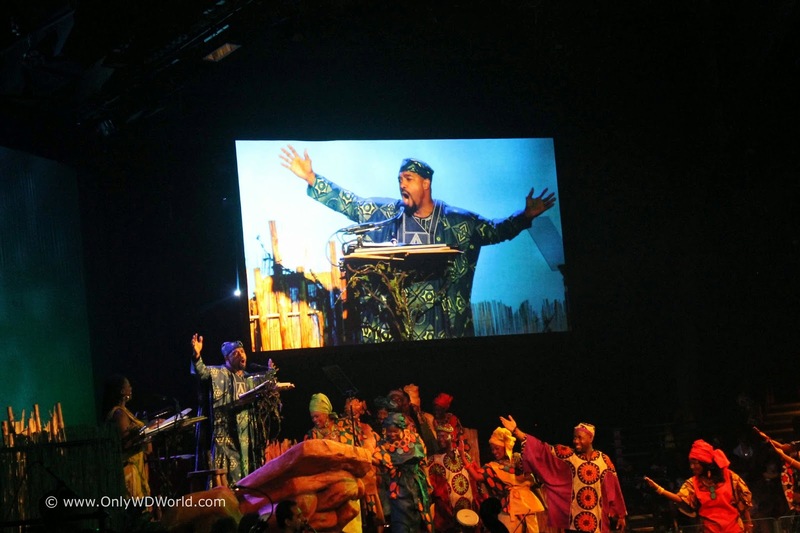 Michael Beach was the celebrity narrator during the July 5th show. It was amazing how big a role the narrator played considering that each narrator only appeared for a single show. 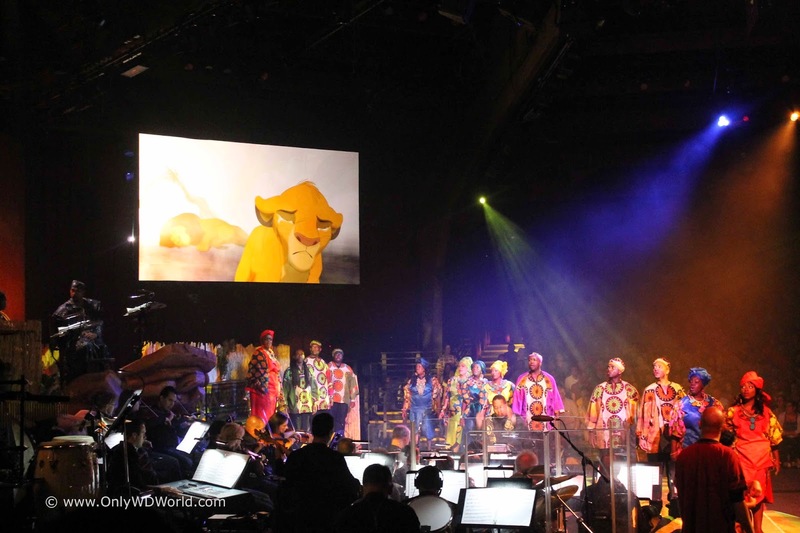 The show consisted of 10 musical numbers performed by the troop of singers and dancers that were aided by the large live orchestra, the narrators, and video clips from the Lion King movie. 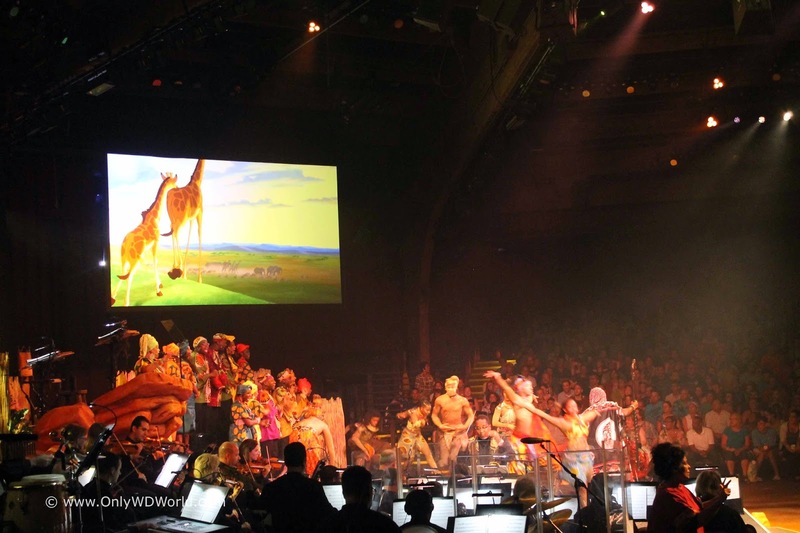 The show was a 55 minute retelling and interpretation of the landmark animated Disney classic. 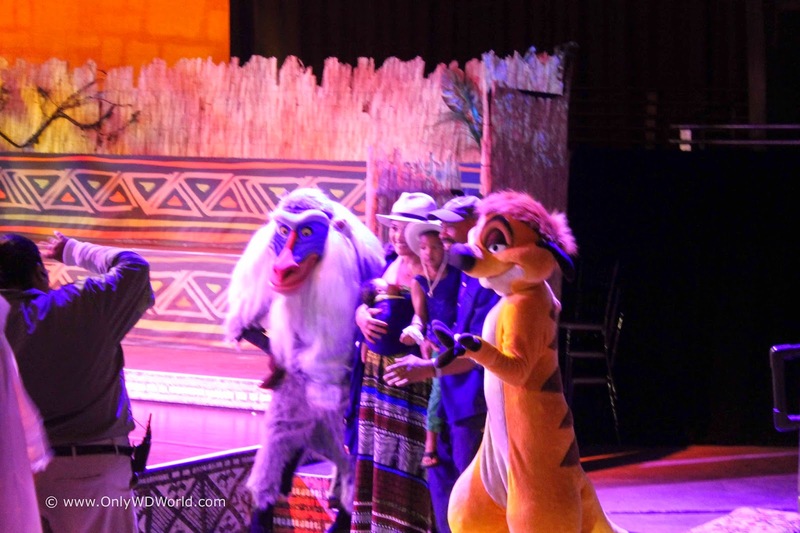 The great part of the show was the fact that it was not a re-doing of the show that has been done at Disney's Animal Kingdom since it opened. 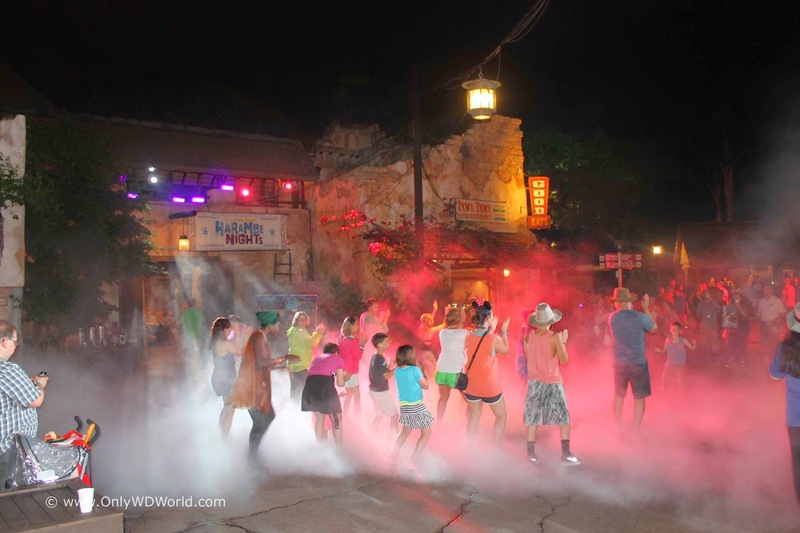 This was completely original and different and was great for Disney World veterans like ourselves. There have been mixed reviews concerning the show, but we enjoyed it. 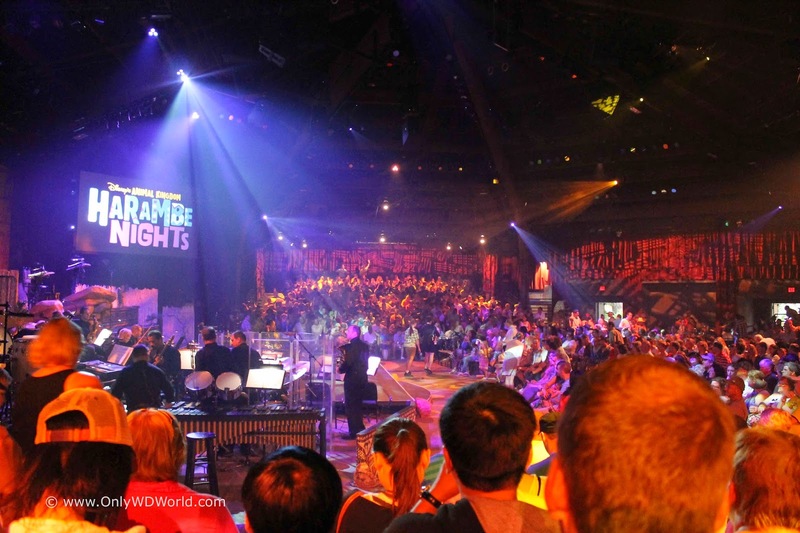 The live orchestra was great, and we enjoyed the live performances. 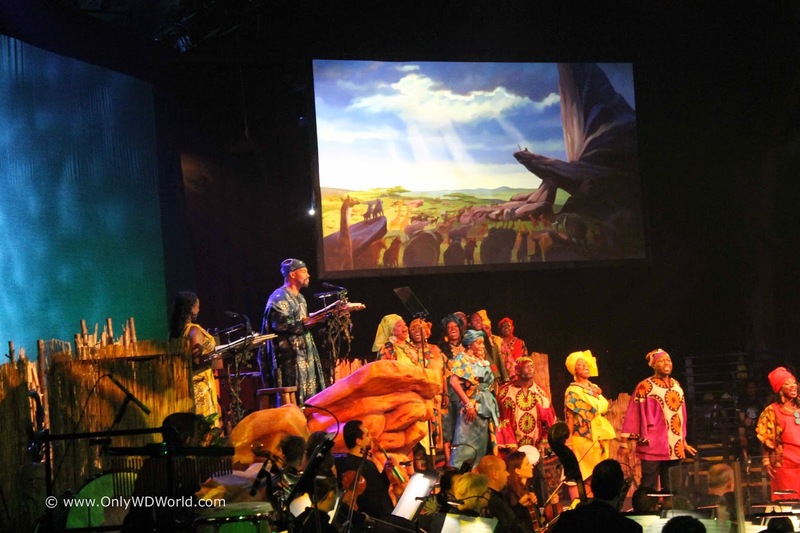 It was truly different than any Lion King performance we had seen anywhere else and that is what made it special. Although there were a number of film clips included, the live interpretations that occurred while the clips were playing made them appear in another light. 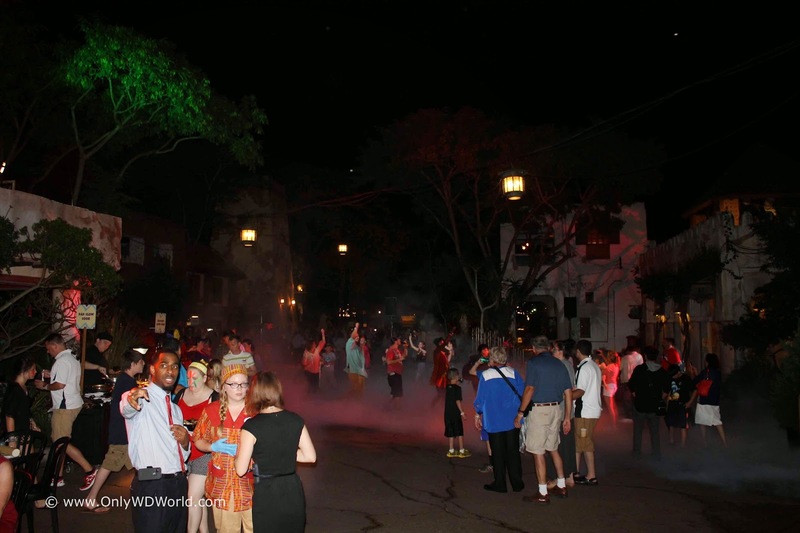 After the show was completed it was time for dinner and the Street Party. Fortunately for us the rains subsided and the remainder of our evening could be spent outdoors as intended for this event. 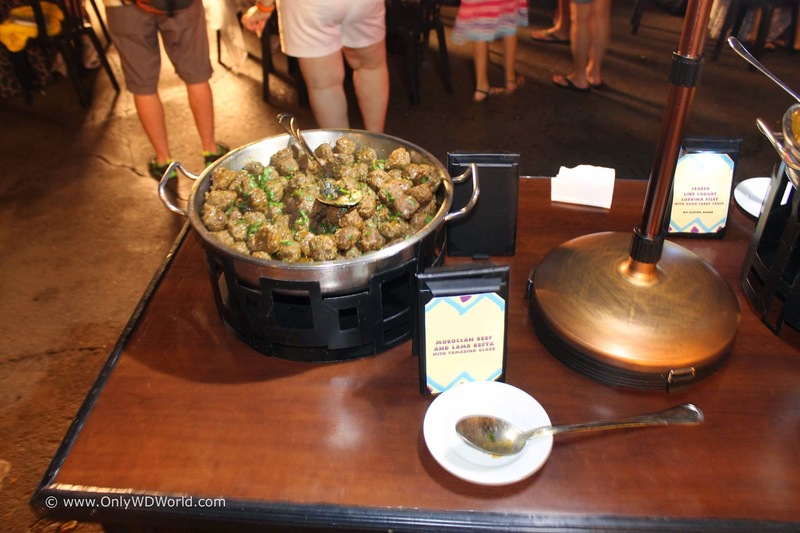 Tables were set up from the area outside the Harambe Theater and along the streets of Harambe stretching to the entrance of the Kilimanjaro Safaris. 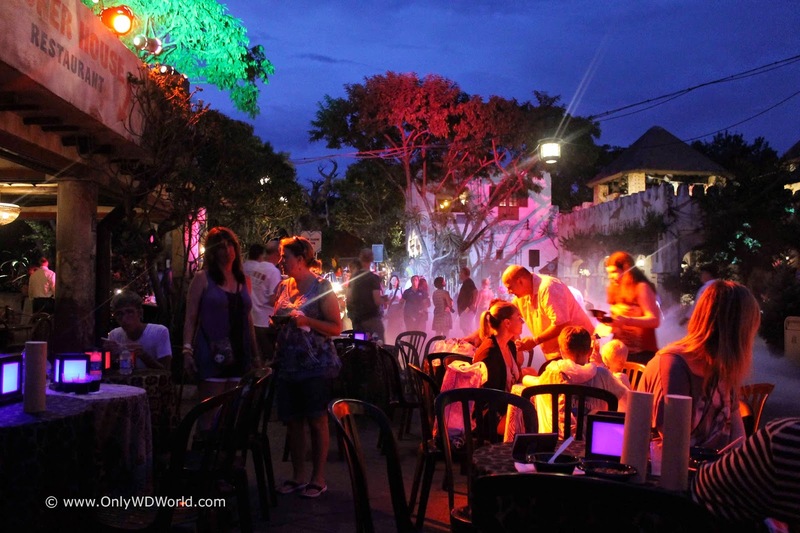 As night fell, it truly was a Street party atmosphere with a live Dj in one area and a band performing in another. 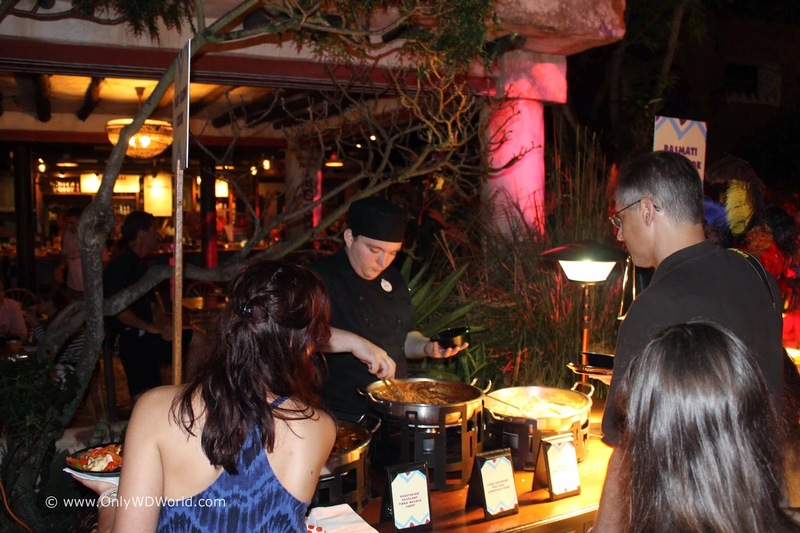 Food stations were plentiful and despite the large number of people attending teh event, lines were short for food and drink and the areas were not crowded. 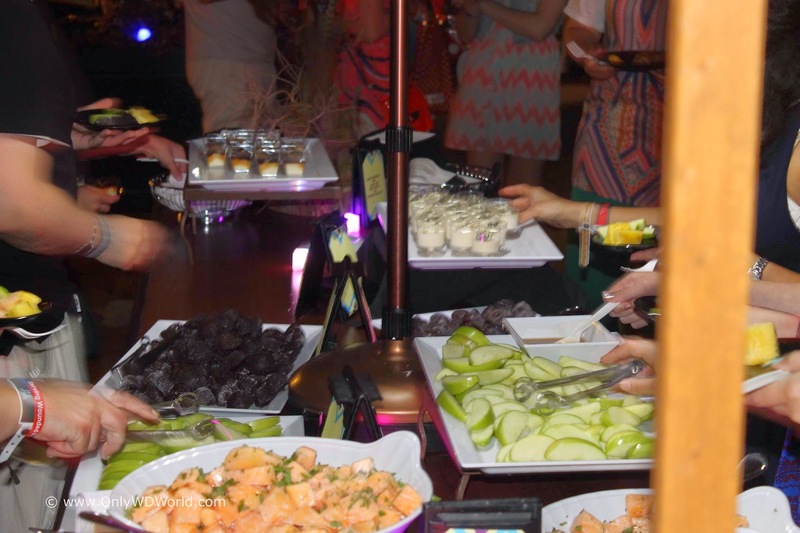 There were five different food stations to be found and they were duplicate in numerous areas to make them easily accessible to all. Disney Characters Join The Party! There were a number of Disney Characters that were part of the Street party and were available for pictures and being part of the fun. 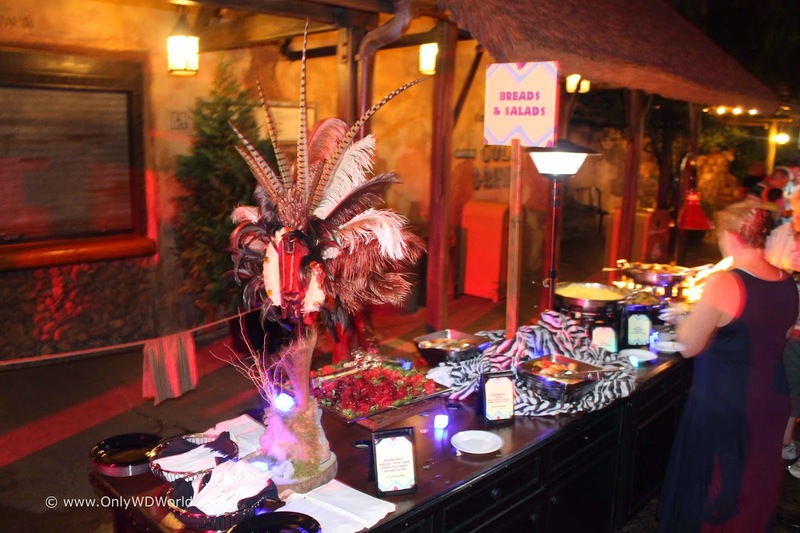 Minnie Mouse, Timon, Rafiki, & Pluto were roaming the party and having fun. The live band kept the party spirit alive and people on the dance floor. The atmosphere stayed fun until the very end of the party which ran until 11:00PM. Stilt-walking costumed cast members also added to the fun. 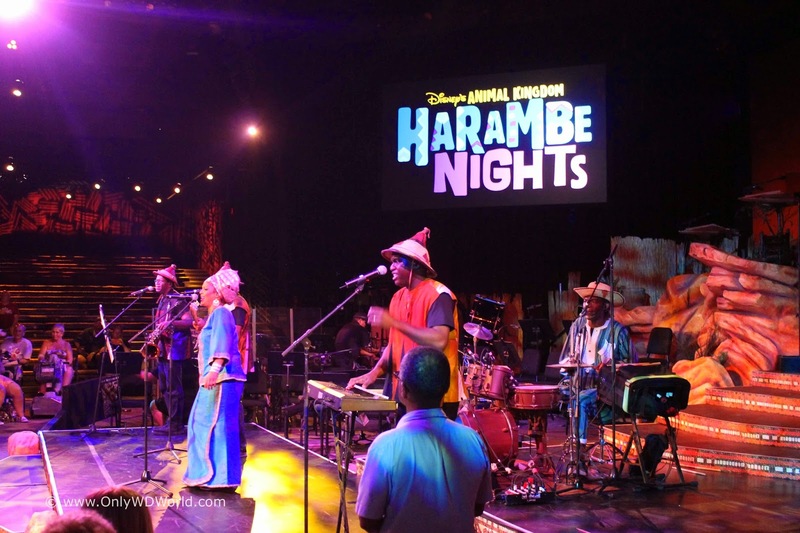 The Harambe Nights special event at Disney's Animal Kingdom was perhaps one of the best Disney World Special Events that we have ever attended. The food was great, the atmosphere was fun. It was adult focused, but families felt welcome and fit in. The major complain was that the price was steep. $119 for adults. The chief issue is that teenagers and really any 10-20 year old that was forced to pay full adult price even though they are not allowed to drink the alcoholic beverages. I think in this case an intermediate Junior price should be in place between Child and Adult for those less than 21 years old. 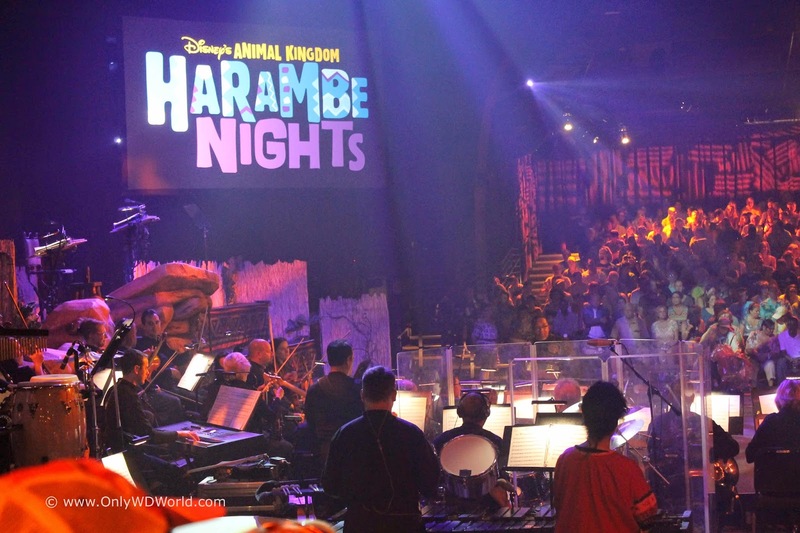 Otherwise this was a great event that showed off why we think that Disney's Animal Kingdom is so special and under appreciated. 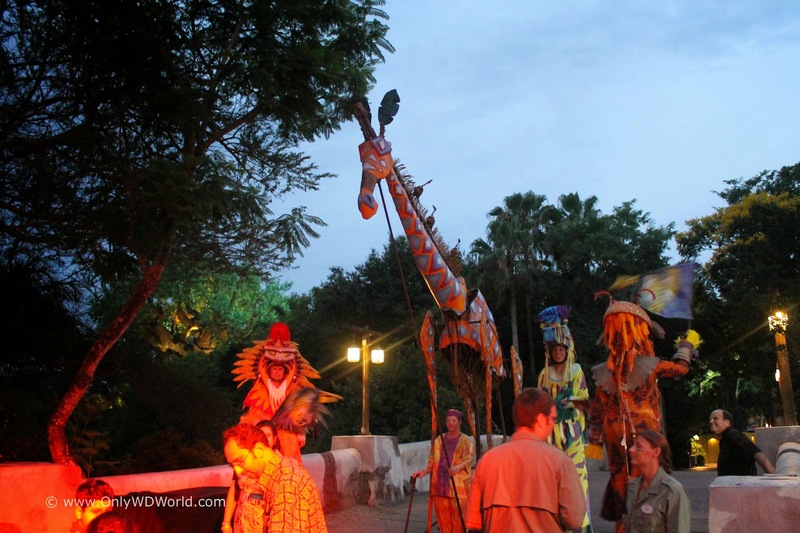 Hopefully more special events will be held at Disney's Animal Kingdom in the future. 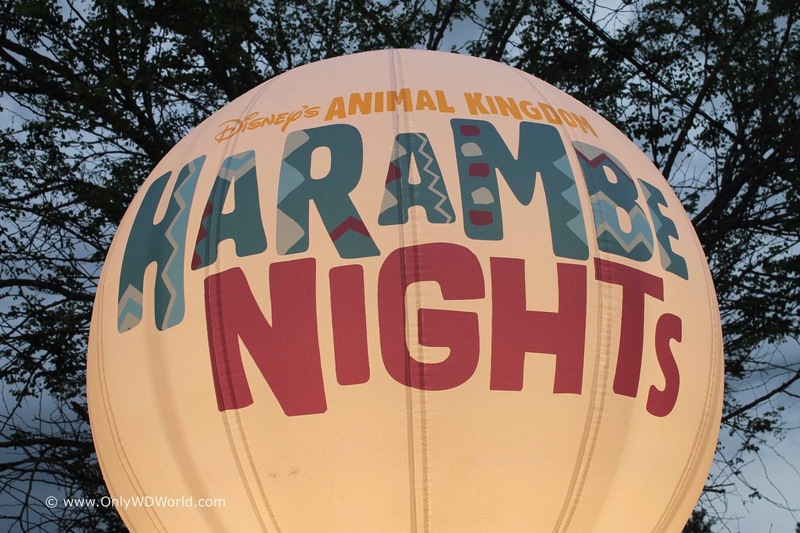 0 comments to "REVIEW - Harambe Nights At Disney's Animal Kingdom"